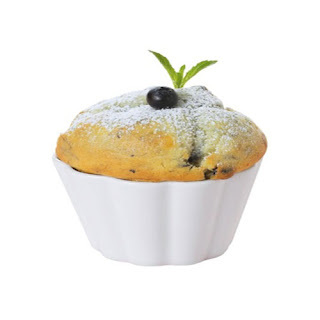 An who doesn't love muffins stuffed with blueberries? An these, made in Pillivuyt's Patisserie muffin molds make them that much more lovable. Preheat oven to 350 degrees F. Butter the muffin molds and set aside until ready to use. In a large bowl combine flour, salt, baking soda, and baking powder. Set aside. Cream butter and sugar until light and fluffy. Beat in eggs one at a time until incorporated. Add buttermilk and vanilla extract and mix until incorporated. Add the dry ingredients to the buttermilk mixture and gently fold until just combined. Gently fold in the blueberries. Spoon dough into muffin molds up to 1/4 inch from top. Bake muffins 15-20 minutes until golden and firm on top. Let muffins cool before serving.